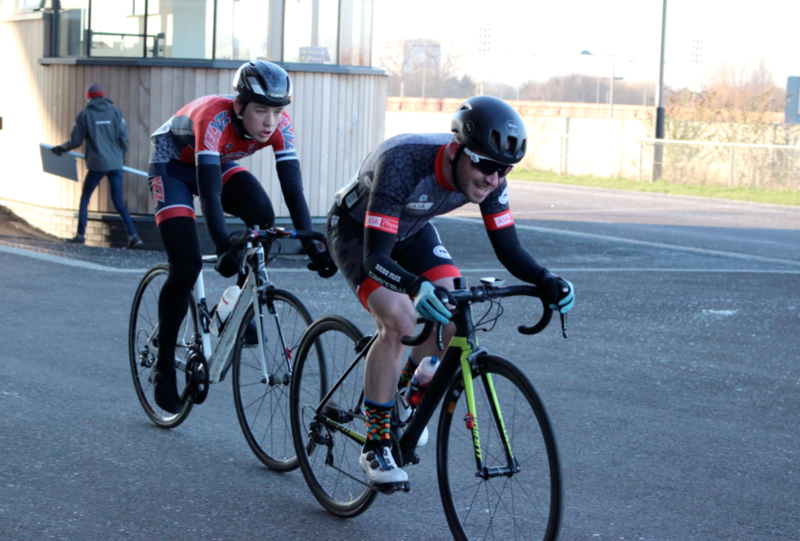 This weekend Mitchy claimed our first podium finish with a second place in the E123 criterium race held in Velopark London. Adam stepped up to the higher category race meaning Mitchy had company in the early stages with Adam making several early attempts at establishing a break. 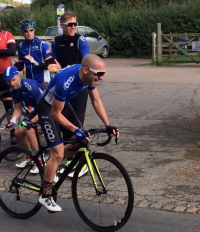 However Mitch broke away mid way through the 1 hour race and at speeds averaging 27mph established a three man break which included National Junior Road race champion Jacob Vaughan. With ten minutes to go the race was down to Mitchy and Jacob with the duo having established over a minute lead on the chasing peloton. 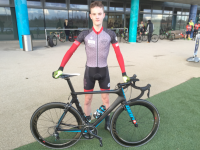 Mitch said “Coming into the last lap Jacob was positioned on my wheel, I gave it everything I had into the home straight, but was beaten fair and square, and am happy with my best cycling result to date”. 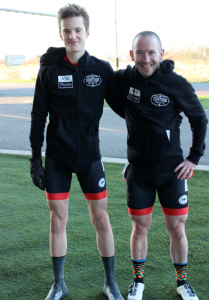 Adam remained in the peloton, losing out to the more powerful sprinters in the home straight, but gained valuable experience racing in the higher category. “It was an intense race with plenty of attacking for the first third. I wasn’t able to make the break on this occasion but am pleased I managed to help Dave achieve top three”.